For years, when I go at international events, I have the habit of trying to fix interviews with some of the most important people that will be around. No one has ever denied me the honor, from the immense Gaz Regan, up to Philip Duff, with whom I had the good fortune to have lunch and to be able to deepen some aspects that makes him someone of great interest. His Old Duff Genever is a niche distillate produced with the greatest possible care, the result of years of studies, to reproduce, in a modern way, an orthodox and canonical genever, ductile and to be used in mixing and of course neat. For those who are not familiar with the Genever, it is considered as an ancestor of Gin, because of the use of juniper in production, although aromatically the two distillates are extremely different. The starting point of the Genever is the “maltwine”, (moutwijin “in Dutch), a “wine”obtained from the fermentation of malt (a mixture of cereals for fermentation, usually rye, corn, wheat and barley). This base is enriched with other ingredients, like Juniper, Angelica, Ginger, Iris, Coriander, Liquorice and Hops. The percentage of Moutwijin present in a Genever determines the quality and the product definition: there is the Old Style Genever (Oude) or the Young Style (Jonge), with a minimum of 15% for the oude and a maximum of 15% for Jounge Genever. 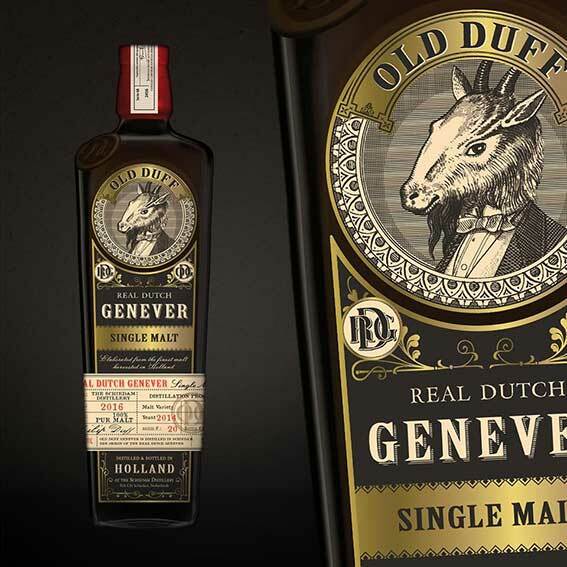 Then there is the Old Duff Genever, with an excellent 53% maltwine: with a strong scent and malty taste that we are used to usually find in whiskey, plus the complexity given by the various botanists of the recipe. perfect for a Martinez, or just neat. For whiskey enthusiasts, it is certainly worth trying, I would appreciate your opinion about it. 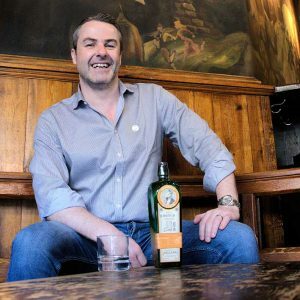 The conversation with Philip Duff, focused on various aspects of Gin production and his vision on the world of Gin in general: wood aging it is now a consolidated trend, a common thing in the US, but it becomes increasingly difficult to imagine the future of this sub cathegory. Duff expects, an increasingly marked differentiation between the low profile products and the premium segment, with the latter leading the market. The space for those products with a high positioning and excellent value for money will always be there, just work well, from the basics. The landscape is lively, few are the fixed points, and it is difficult to understand precisely how to choose the best product: the choice must be dictated by the bartenders. Their task is to always get better information, to direct the final consumer, who currently would be unable to know all the brands and all the current trend, to understand what to choose and what to avoid. Philip Duff’s experience, born in Ireland, passed through the Netherlands, and then landed in the USA where he is a highly acclaimed professional, can serve as an example for the enlightened bartenders: with a lot of work, with the sowing of right contacts, cultivating profitable relationships, it is possible to achieve remarkable results, not just behind the counter. During the interview, two good news came to Mr. Duff: the closing of the contract for distribution in the United Kingdom and the inclusion of the Old Duff Genever Single Malt, among the 10 products of the year at the Tales of the Cocktail Spirited Awards. As always, Gin Italy brings good luck. His Genevers are not yet distributed in Europe unfortunately.